Figure 3 of Kojima, Mol Vis 2010; 16:2457-2464. Figure 3. 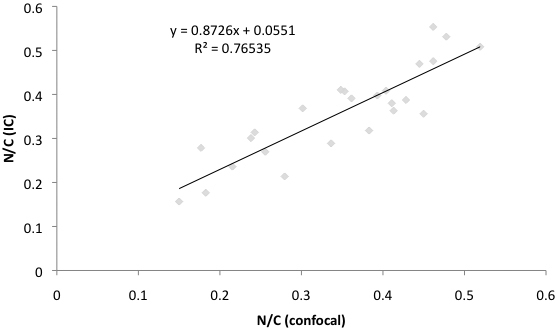 The correlation of nucleocytoplasmic (N/C) ratio assessed by impression cytology and in vivo confocal microscopy. Note the linear positive correlation for N/C ratio assessed by both examination techniques.